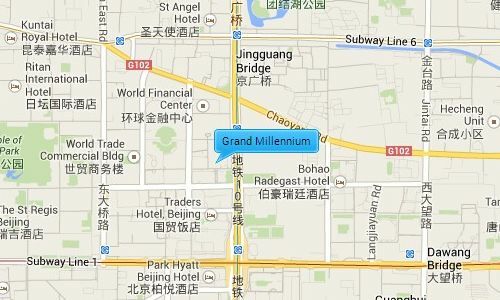 Grand Millennium Residence are serviced apartments which form part of the Fortune Plaza development, and are managed by Millennium Hotels and Resorts. There are 329 luxury serviced apartments from the 3rd to the 31st floor that range from a 76sqm 1 bedroom layout to a 180sqm 3 bedroom executive layout. The apartments are luxurious in style with high end furniture, marble fittings and wooden flooring and come with an LCD TV, Satellite channels, fully equipped kitchen, internet and are cleaned 3 times a week with linen and bedding replaced twice a week.